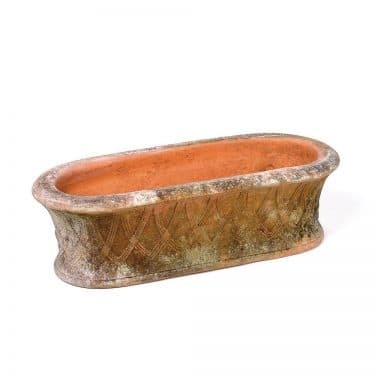 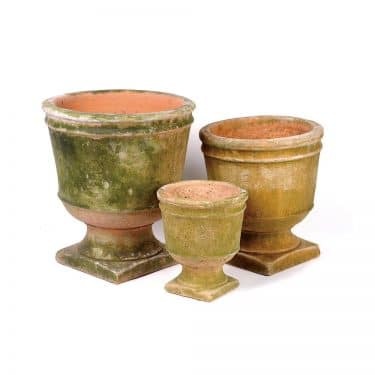 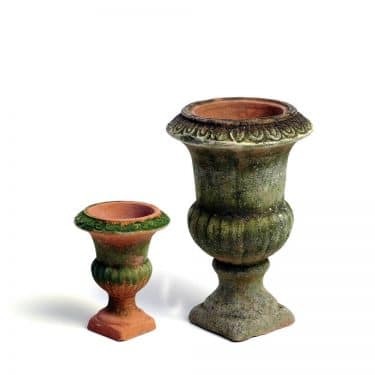 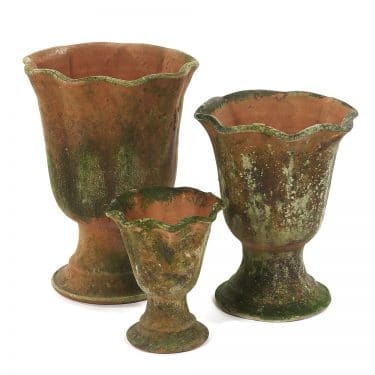 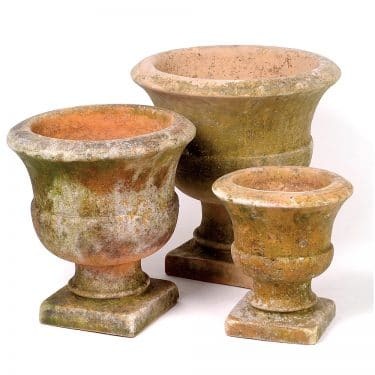 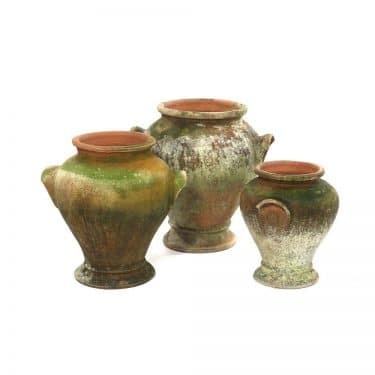 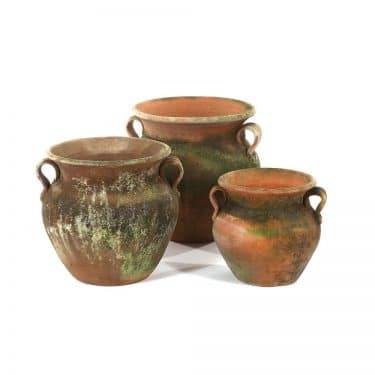 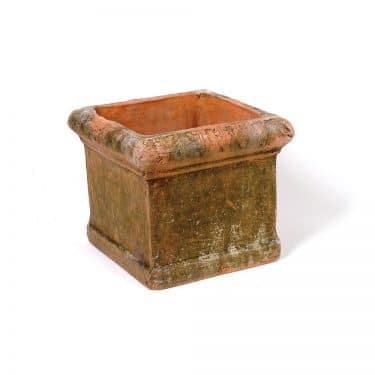 AGED URNS – Mini and Small | Campo de' Fiori | Naturally mossed terra cotta planters, carved stone, forged iron, cast bronze, distinctive lighting, zinc and more for your home and garden. 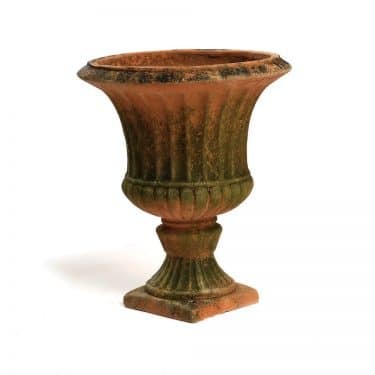 A timeless take on a Grecian urn, we make these in two small sizes, perfect for a mantle or a shelf. 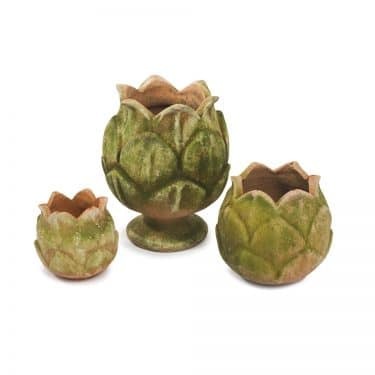 An eye catching addition to your home.